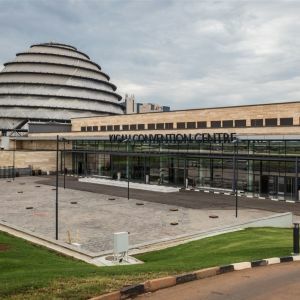 The convention centre is located on Highway KN5 in Kigali, just about 6 kilometres west of Kigali International Airport. 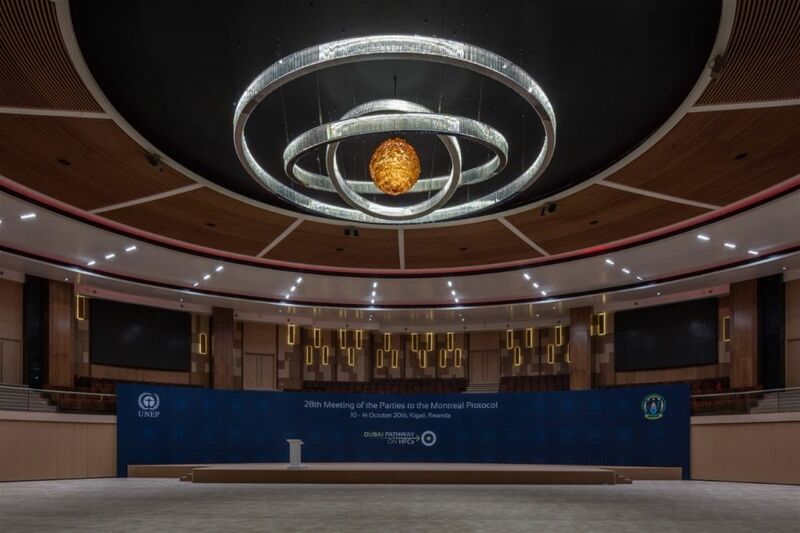 The centre has four major components: a 5-star hotel with 292 rooms on six floors; a conference centre with seating capacity of 2,600; Kigali Information Technology Park and a museum. 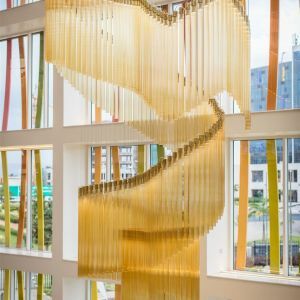 Construction began in 2009 and was completed in 2016. 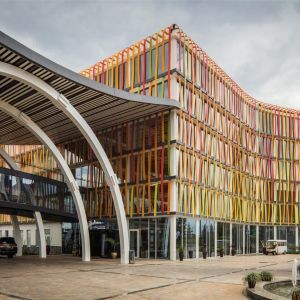 The initial design was made by Bost Group Berlin for Kigali Convention complex. 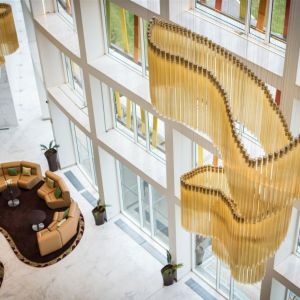 Later on it was taken over by Spacial Solutions. 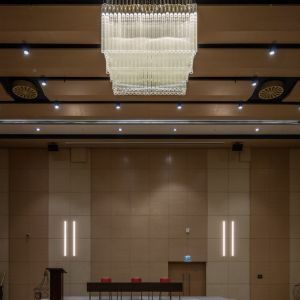 Preciosa has collaborated directly with the owner-developer Ultimate Concepts Ltd based in Kigali. 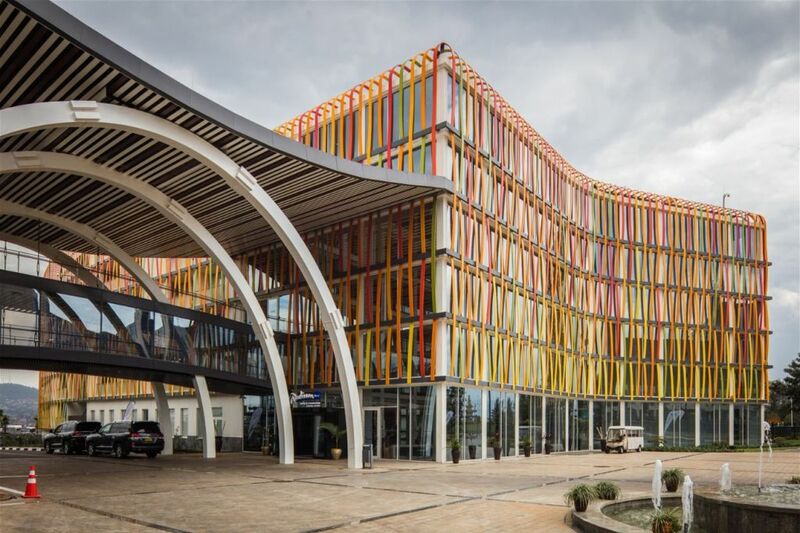 The hotel is operated by Radisson Blu and this is its very first hotel in Rwanda. 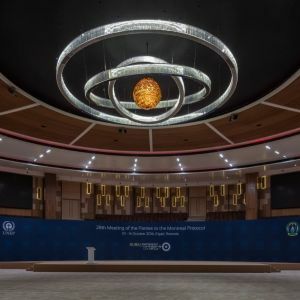 With its iconic design, a majestic dome paying tribute to the shape of traditional Rwandan huts, it effortlessly combines Rwandan culture and modernity and is billed to become one of the country’s major architectural landmarks. 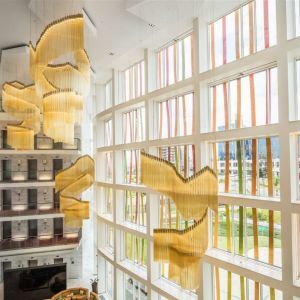 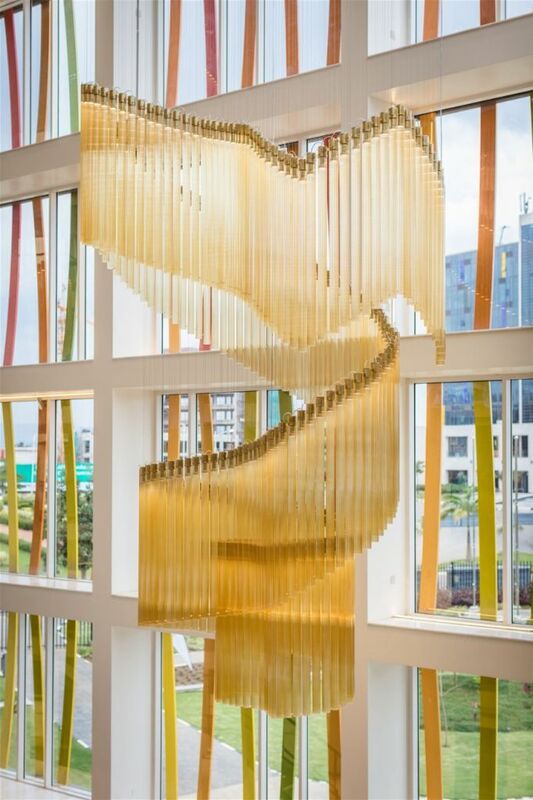 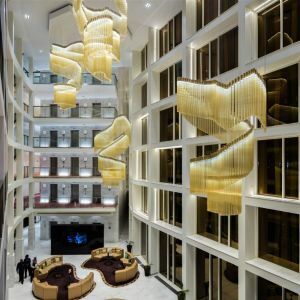 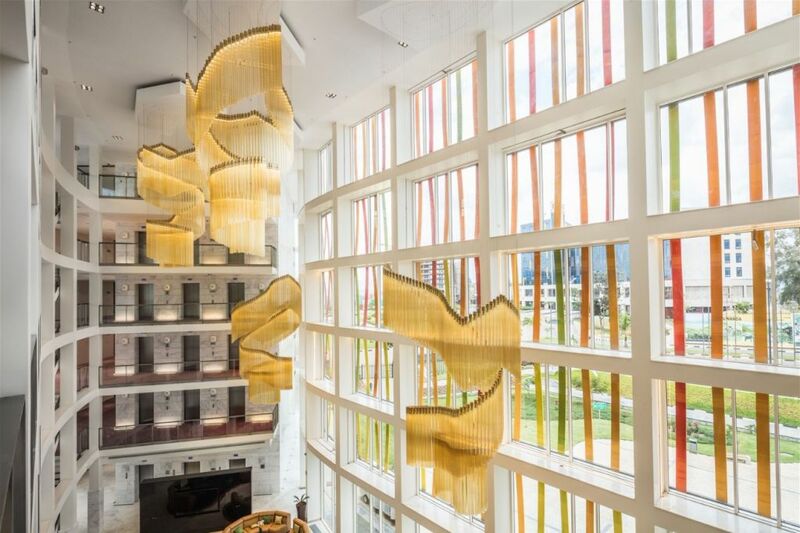 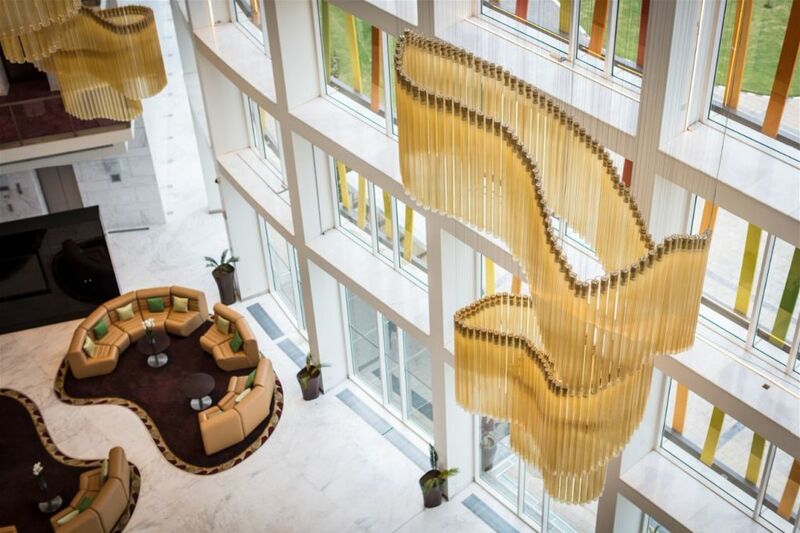 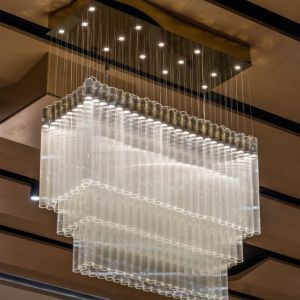 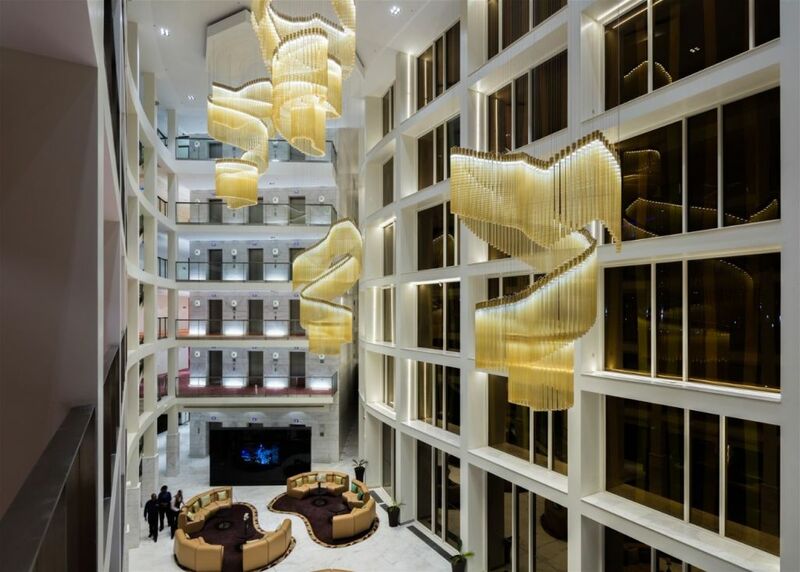 Preciosa has designed a cluster of four chandeliers for the hotel lobby, which are 5,5 meters in length and composed of almost one thousand glass tubes of champagne colour. 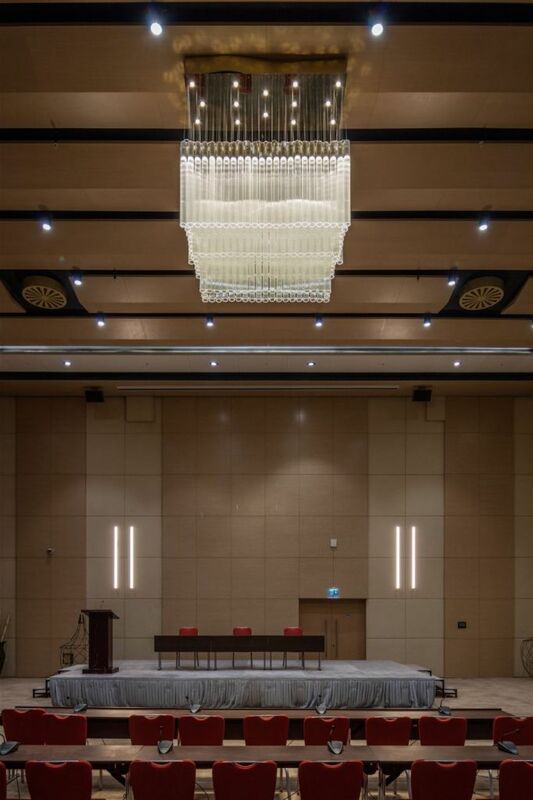 The ballroom is lit by seven rectangular chandeliers composed of clear glass tubes. 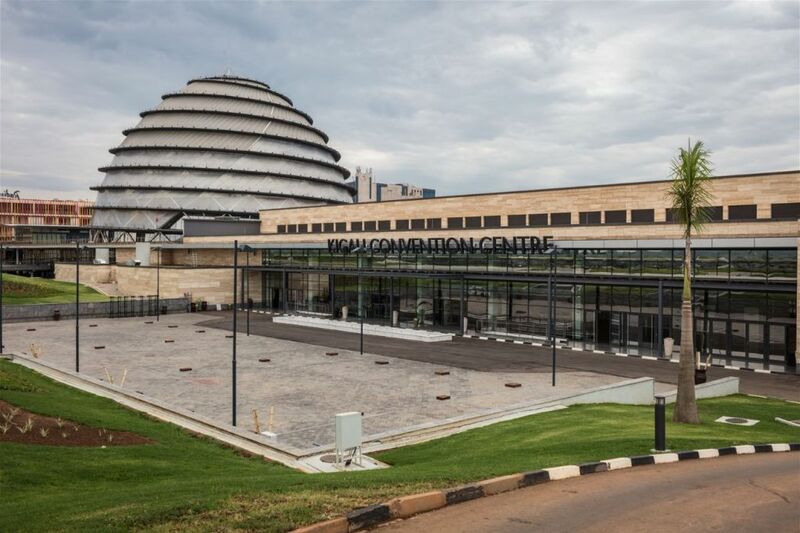 The gigantic Convention centre, of 53,000 square meters, is the largest in the region. 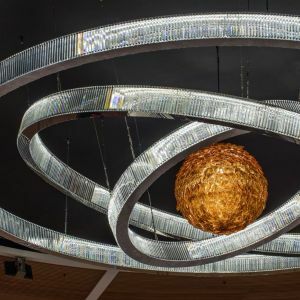 The Universe/Solar System was the inspiration for the dominant lighting installation in the Arena; an amber sphere banked in three rings. 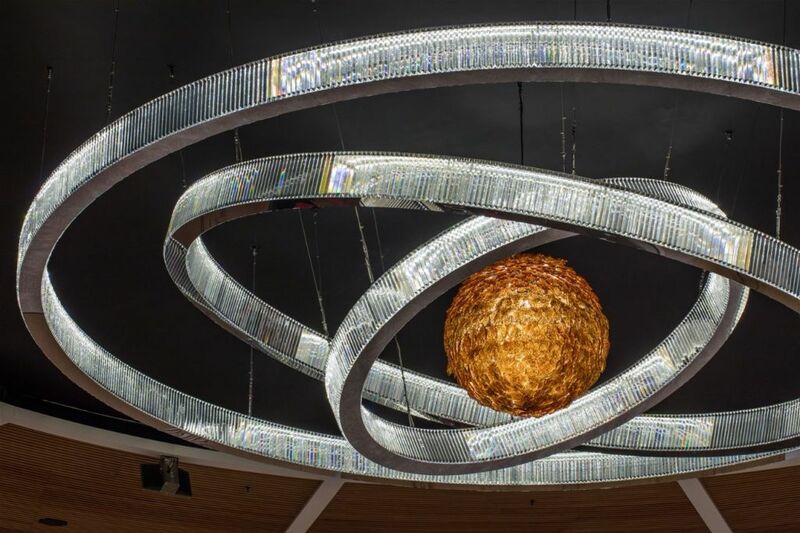 The sphere is created from leaves of hand blown Bohemian amber glass inlaid with mica and air bubbles. 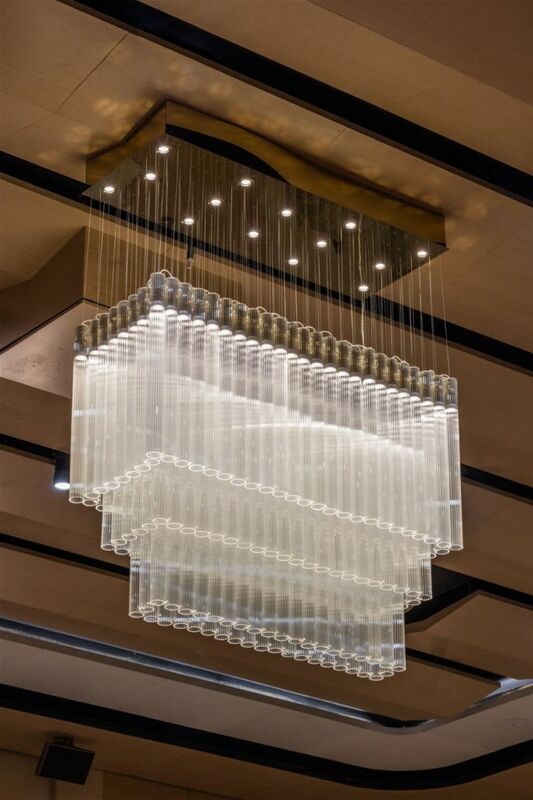 Three rings of 3, 5 and 7 meters diameter are constructed from 30 cm long glass prisms.